Factory 506: Contain Your Stuff/Some of my Favorites! Contain Your Stuff/Some of my Favorites! 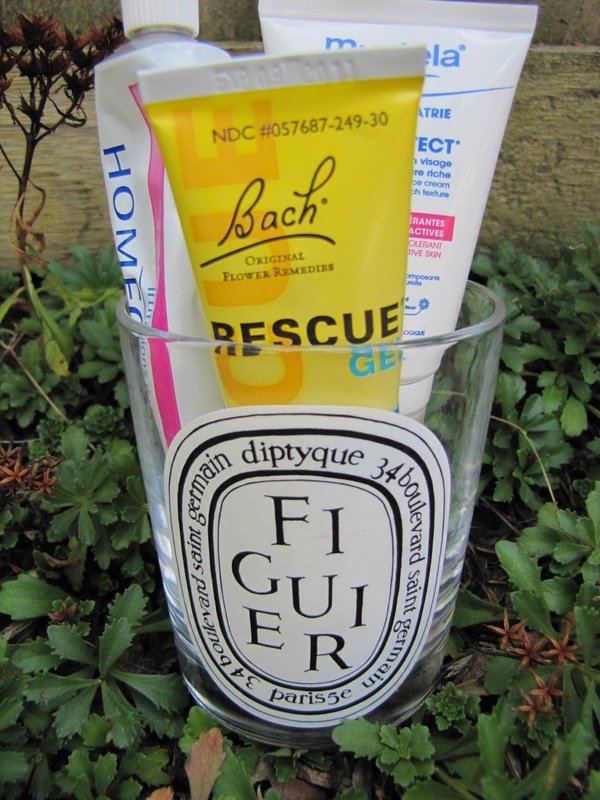 Let's talk about reusing stuff, some of my favorite products and their pretty containers and how reusing stuff allows you to be a hoarder!!! Perfect for a Monday, right? 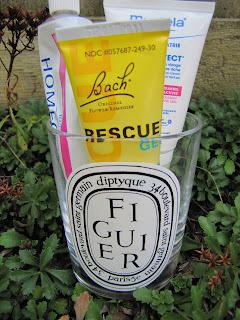 I LOVE to reuse stuff and I REALLY LOVE pretty containers. 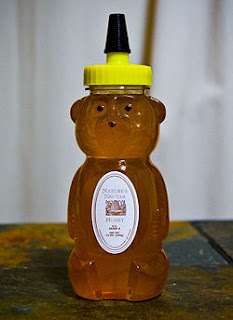 I am a total sucker for pretty packaging, if it is cute, I really try to find another use for it so that I can keep enjoying it, which might also be called hoarding in some circles! 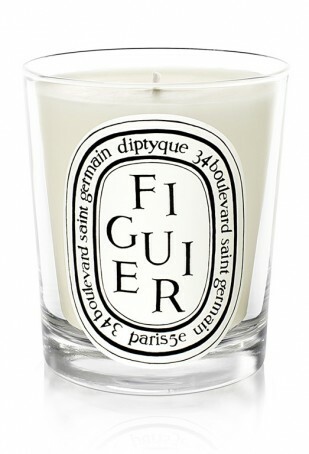 My absolute favorite candles are Diptyque Candles. The scents are fabulous, they burn really well and for a long time and I love the packaging. 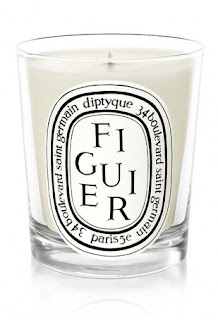 I don't think I have ever thrown out a Diptyque candle jar of any size. If I have them, I will find a use for them, and I usually don't have to hunt for a use for very long! Now it is a make up brush holder! Another one contains the lotions and potions in the medicine cabinet! 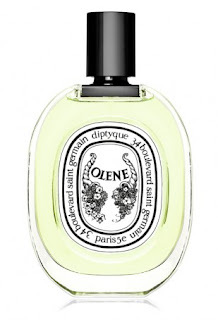 Diptyque also makes the most fabulous eau de toilette! 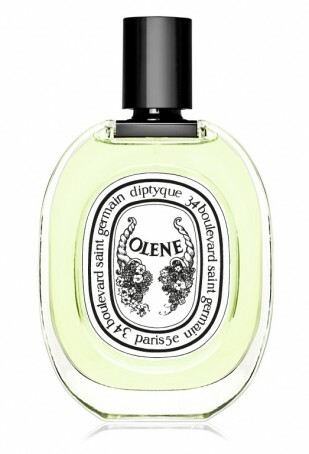 Olene is one of my all time favorites! 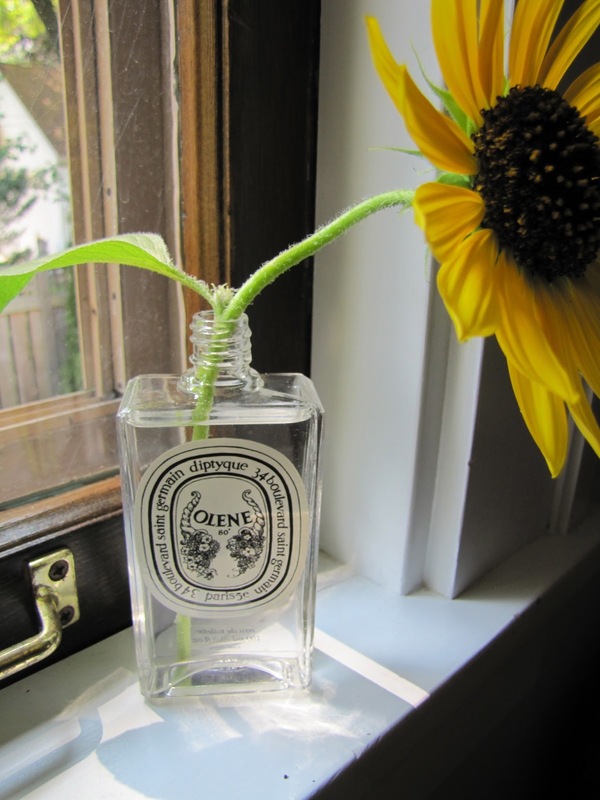 Now it is a cute little flower vase! I bought this bottle about 12 years ago in France!!! It has been holding blooms ever since. And the good news is that we FINALLY have a Diptyque store in Chicago. It's about time, no more having to order on-line and pay for shipping! If you are in the Bucktown area, I highly recommend that you check this store out, but be prepared to become addicted!!! Look at this lovely Rose wine that we have been drinking a lot of out on the patio this summer! 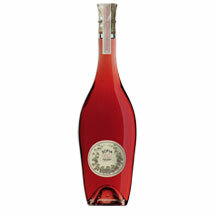 It is called Sofia, it is named after Sofia Coppola and is made by the Coppola Vineyards. This may not be the worlds best Rose, but it is very nice and I just love the shape of the bottle. To be honest, I first bought it for the shape of the bottle. The fact that the wine tasted good was a total bonus. 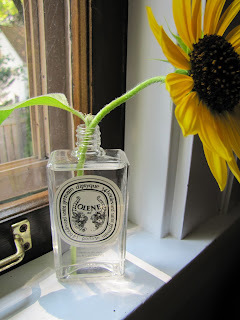 After drinking the wine and saving the cork, I knew I could not throw the bottle away, but the last thing I needed was another vase (see Diptyque bottles above)! 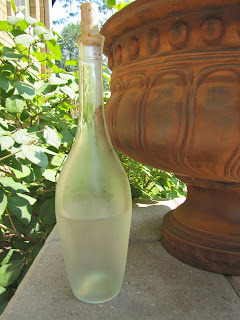 Now it is the bottle that holds our water at the table at dinner. I keep it corked with a cork, duh! And refill it and chill it in the fridge. Perfect for dinner on the patio whether it holds wine or water! 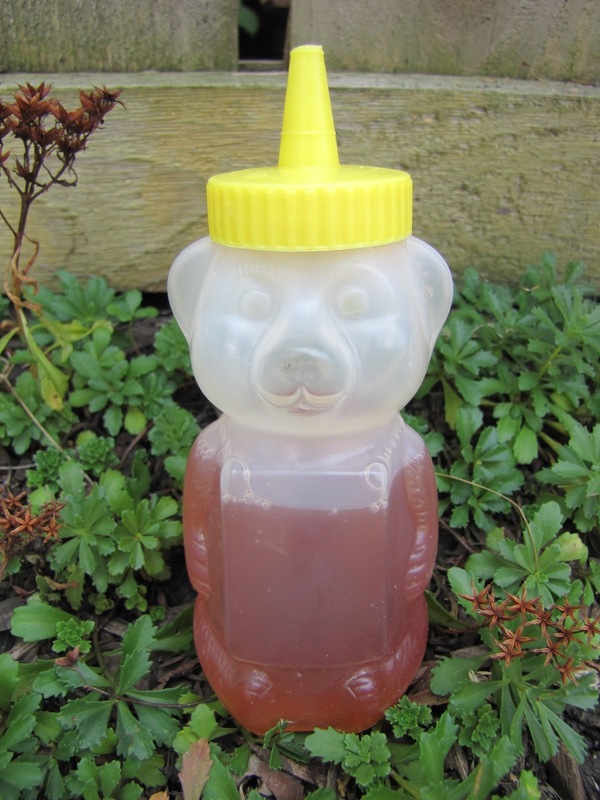 Have you seen the Honey in the bear shaped bottle at the grocery store or farm stands? I don't know why, but I just love those cute little bear bottles!!! Now this guys holds my dish washing soap at the kitchen sink! And speaking of the kitchen sink, look at the pretty oyster shell that holds my rings while I am washing the dishes. 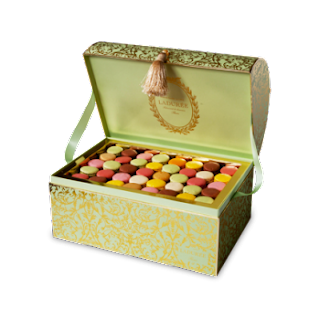 Are you familiar with Laduree? OMG, the best macaroons in the world!!! We ate our weight in them last summer on vacation. Not only do they taste awesome, but they come in the most beautiful containers! A dear friend just brought some back from Europe for me in the coolest tube shaped container. The three of us ate the macaroons in about a day, but the container lives on in my purse. It is currently holding lip gloss and is a place for my hair tie to rest when not in use! Seriously, can you even get over that shiny gold lining? It makes me happy every time I open it! 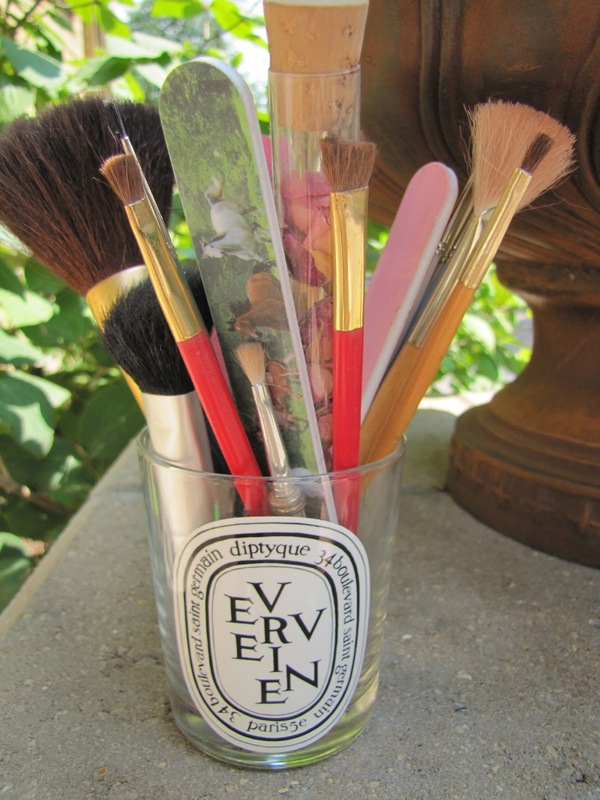 Do you ever save your pretty or fancy containers? I would love to know what you do with yours!!! Please don't tell me you toss them in the recycling container!